Remembering a great aviation professional, and a friend. 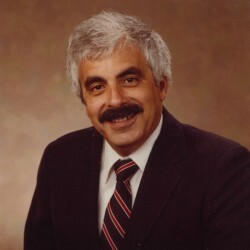 Armen DerHohannesian served as Senior Vice President of Hoyle Tanner & Associates, Inc. from 1975 to 1988. He was a founding members of the Airport Consultants Council, served as President of ACC and was the Board of Governors chair of ACC in 1985. For those of us who were fortunate to have worked with Armen, we remember a consummate professional in all respects, a committed advocate for airport safety and the face of Hoyle Tanner’s stellar reputation in the aviation industry. He was a great friend and mentor to many, and a worthy rival across the net during the years when Hoyle Tanner had a de-facto tennis team. Armen, we will miss you and we are a better firm because of you.